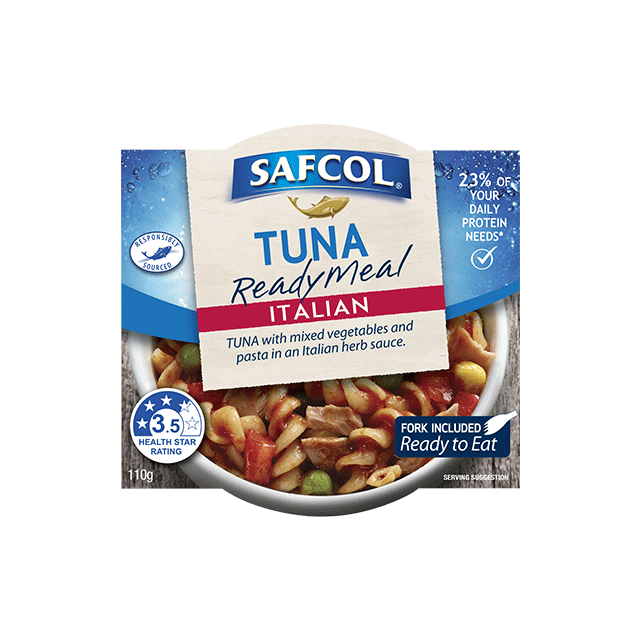 Safcol Tuna Ready Meal Italian is tuna with mixed vegetables and pasta in an Italian herb sauce. 23% of your daily protein needs. Fork included, ready to eat. 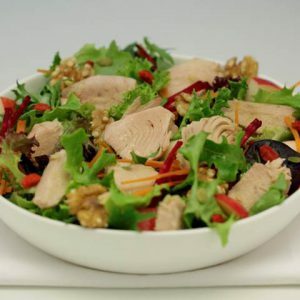 To protect marine life, our tuna is caught without the use of fish aggregating devices (FADS). FADS attract many sea creatures, which get caught with the tuna, this is detrimental to our oceans. Learn more at www.safcol.com.au.